The StormwateRx team have worked with hundreds of facilities around North America to provide cost-effective and simple integration plans for our stormwater treatment equipment. Whether it is raining or not, we know how your site flows and performs when it is. Please scroll down to view the service of interest. 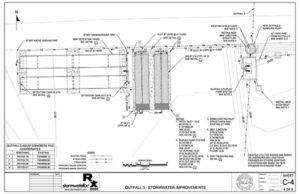 StormwateRx engineers are versed in the latest design and stormwater hydraulics sizing software. Whether you work in AutoCAD®, HydroCAD, Visio®, SWMM®, XPDrainage®, Mapistry®, Excel, or back of the envelope hand-sketch, we can work with owners, contractors, environmental or engineering staff to get the right solution together for your plant or industrial facility, or that of your customers. Our engineers will formalize your vision and put it on paper, or tap our deep industrial stormwater experience with hundreds of industrial customers throughout North America, to develop effective and efficient retrofit designs for your site. StormwateRx field sales staff are experienced and able, in many cases, to provide prospective customers with a stormwater treatment system integration plan as well as best management practices to complement treatment. We have worked with hundreds of facilities around North America to provide cost-effective and simple integration plans for our stormwater treatment equipment. Whether it is raining or not, we know how your site flows and performs when it is. Ask your StormwateRx sales representative for input on industry standards for stormwater best management practices and treatment. 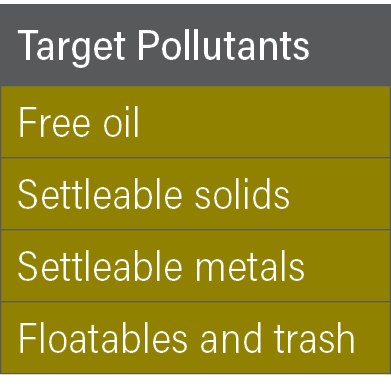 StormwateRx uses visual observation and bench testing of industrial stormwater to qualify whether one or a combination of our stormwater treatment products is likely to be effective for removing your target stormwater pollutants. 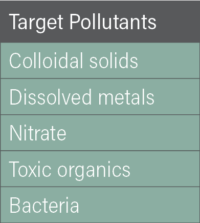 With as little as a quart of fresh stormwater, our laboratory staff are able to recommend which StormwateRx treatment product or combinations of products are likely to remove the target pollutants you desire for the least cost. 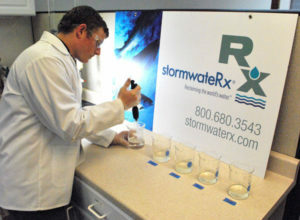 StormwateRx typically uses grab sampling, and a combination of in-house analytical techniques and outsourced water quality testing to qualify stormwater treatability. In some cases, StormwateRx charges a nominal fee for bench testing, which may be refundable with purchase of our full-scale equipment. 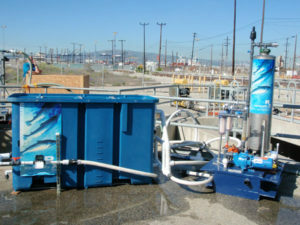 StormwateRx offers a fleet of its stormwater treatment products available for rental and field scale pilot testing. 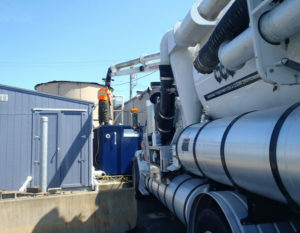 StormwateRx typically deploys experienced staff with engineering or scientific backgrounds to set up our stormwater treatment systems at real-world operating industrial sites. 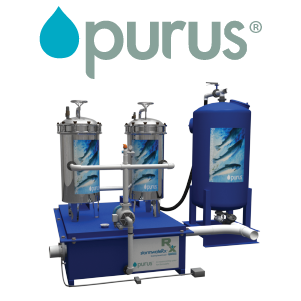 StormwateRx can provide turn-key design/install/operate/train/monitor pilot scale demonstrations of our Clara stormwater separator, Aquip enhanced stormwater filtration system, Aquip Zinc-B-Gone advanced filtration, any of our Purus Polishing technologies, or multiple technologies in parallel. Scalable pilot test results are available after as little as one day of testing, or treatment units can be rented for a week or more for longer term pilot demonstration testing. In most cases, the results generated with our pilot testing equipment are virtually identical to the results achieved with our full-scale systems. Get the best results with StormwateRx! StormwateRx charges a fee for pilot testing that may be partially refundable with purchase of full-scale equipment. 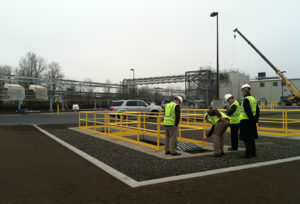 Full-scale performance demonstrations for applications where customers would like to demonstrate to regulators or stakeholders the full-scale functionality of StormwateRx treatment products, we offer implementation of smaller full scale stormwater treatment equipment that can be upgraded or augmented with additional treatment equipment, typically after a one-year full scale demonstration period. During this demonstration period, StormwateRx staff typically will remain involved to collect verification samples and additional design data to assure the best possible scale up to full site treatment. 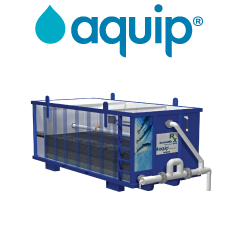 StormwateRx Clara, Aquip and Purus product sales include onsite installation oversight and assistance. We send one or more experienced field installation staff to your jobsite to work with your contractor or plant personnel to make sure our products are properly placed, integrated, assembled and started up. Our commissioning services are key to customer satisfaction. 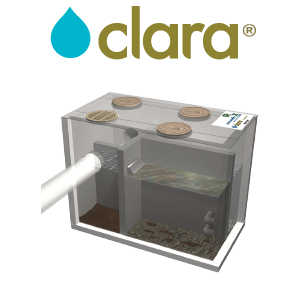 Whether you have purchased a Clara stormwater separator, Aquip enhanced stormwater filtration system, Purus stormwater polishing system, or multiple products, we want to make sure the installation is done right and provides the best possible stormwater quality outcome. StormwateRx provides operations and maintenance training of end-user staff with every installation, and as needed on a follow-up and ongoing basis. We track operating conditions and treatment volumes to help our customers with predictive maintenance and best practice operations. And finally, we offer only qualified, certified materials for maintenance to assure ongoing predictable performance. StormwateRx supports everything we sell. We offer complete maintenance supply packages for all our filtration products, and maintain a spare parts inventory for critical treatment equipment components. The skids are greased when it comes to keeping your systems up, running and performing. We worry about the details, so you don’t have to. Our products include passive performance indicators to allow your environmental and plant maintenance staff to determine how our systems have been working, whether it’s raining or not. StormwateRx’s talented field and sales staff will stop by your site on a periodic basis to check system operation and to document performance. 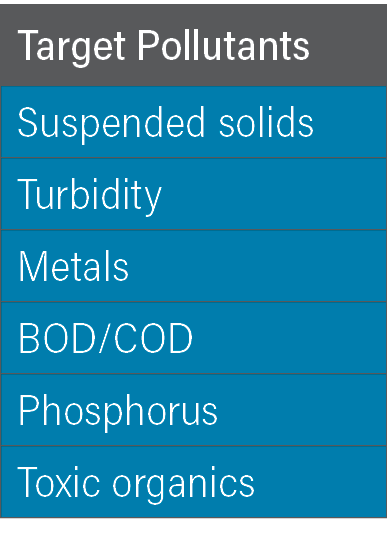 We track operating and maintenance status of your treatment systems over time so we can help provide best-in-class field support for your industrial general permit compliance. StormwateRx offers professional civil and environmental engineering services to our customers. We are licensed Professional Engineers in Oregon, Washington, California and Hawaii, and can stamp engineering plans in these states, or provide this added level of credentialed verification to our engineering and sizing calculations. And we have a host of licensed engineering and consulting firms we work with outside these states. Examples of engineering and supply services we provide include conveyance modifications, pump stations, electrical controls, freeze protection, detention, high-flow stormwater bypass, and stormwater treatment equipment.